The Rogueware with the name Windows AntiVirus Booster from the FakeVimes family is a fake security program classified as malware in the category rogueware which pretends to be a legitimate internet security program and claims that malware has been detected on your computer and displays false scan results, fake security alerts, and does not allow you to run any application on your computer. 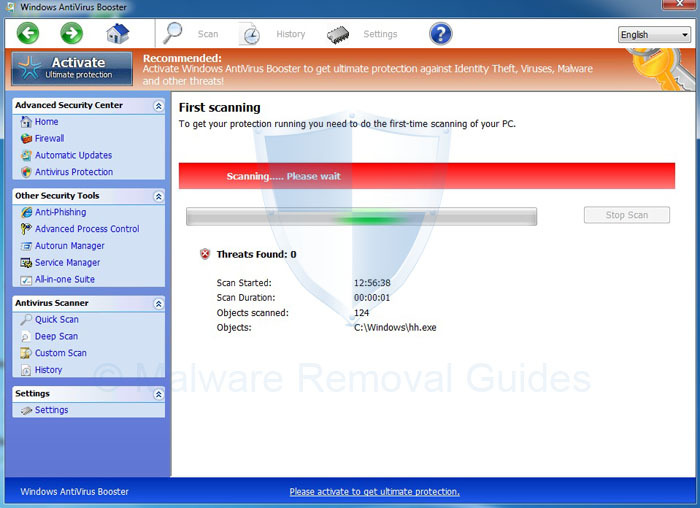 When the fake scan is finished, you will be prompted to buy Windows AntiVirus Booster to clean your computer and the infections that have been found. The Windows AntiVirus Booster rogueware is distributed through compromised web sites that exploit vulnerabilities on your computer like Java and through fake online scanners that state you are infected and then prompt you to install the Windows AntiVirus Booster to scan your computer for the precense of malware. 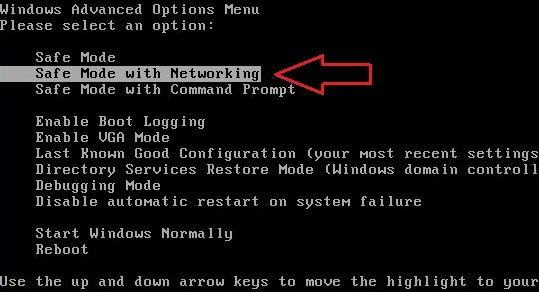 When you try to start a security program like a malwarescanner on your computer, Windows AntiVirus Booster will automatically close it and will state that the program is infected. 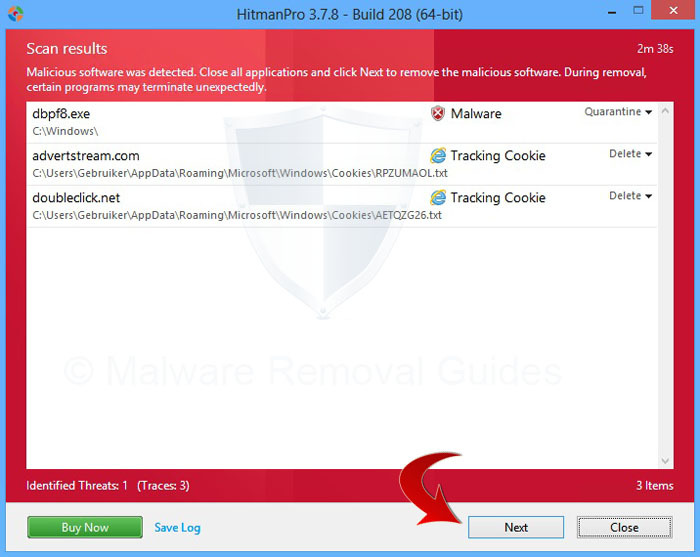 If your computer is infected with Windows AntiVirus Booster, then you are seeing the following screens and msessages, follow the guide below to remove the Windows AntiVirus Booster rogueware from your your computer with free software. 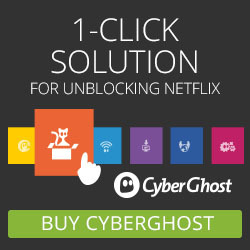 All tools used in our Windows AntiVirus Booster Removal Guide are completely free to use and should remove any trace of malware from your computer.